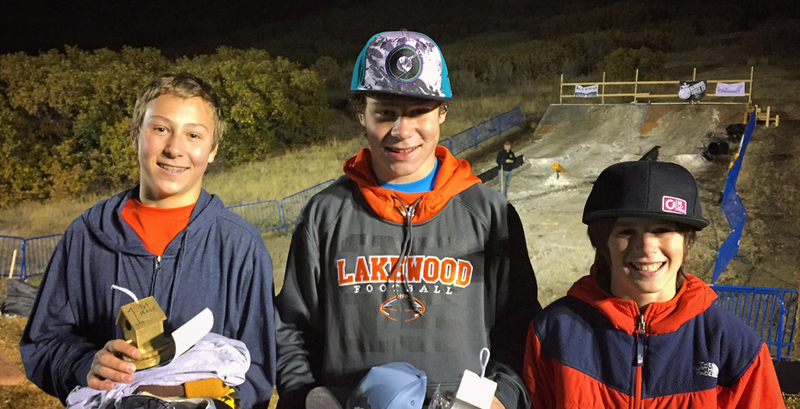 Christy Sports is a leading provider of skiing and snowboarding equipment. In 1958, two skiers with a passion for the sport opened up a ski shop on West Colfax Ave in Colorado. The pair, Ed and Gale Crist, would spend weekends gathering customers on their bus and taking them up the ski slopes. In the 70s, Christy Sports expanded into Copper Mountain and Vail. Now, there are over 40 stores open across North America, the majority of which are along the Rocky Mountains. Being located along the Rocky Mountains attracts many employees with the same passion for skiing and snowboarding as the creators themselves. Therefore, the employees are dedicated to helping all customers find the equipment best suited for them. Christy Sports is committed to providing the best customer service possible and the highest quality products available. The company would never advertise any products that its own staff would not personally use. Realizing the potential of the ever-growing online marketplace, Christy Sports opened its website in 1999. Here, the company provides Smart Rentals, an innovative and effective way to provide sport rentals to the public. The company provides the same high-quality equipment available to the staff. Men's, women's, and children's clothing are provided online. The best customer service possible is provided through their toll-free number during phone hours. Email contact and live chat is also available to satisfy all customer service needs. There are several main categories on ChristySports.com. 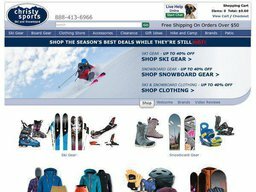 These categories are Ski Gear, Board Gear, Clothing Store, Accessories, Clearance, Gift Ideas, Hike and Camp, Brands, and Rentals. These are further categorized by item or as men's, women's, or child's. As the majority of the items offered on ChristySports.com are high quality sports equipment, most items will qualify for free shipping. Upon checkout, customers may checkout as a guest or register to have their information saved. Want to cut down on the cost of your high quality sports equipment? Coupofy Coupons can help you do just that! We get all of the latest Christy Sports coupon codes so you can enjoy your favourite sport at the lowest price available! Simply browse our Christy Sports section and click the code you would like to use. It will be copied to your clipboard! Christy Sports.com does not accept any other online payment method such as Bill Me Later, Google Checkout or Amazon Payments, nor does thi company accept money orders, wire or bank transfers or checks of any kind. ChristySports.com offers free shipping on orders over $50. Many of the items on ChristySports.com cannot be shipped internationally though, and therefore the site does not accept international credit cards. Paypal is available to international customers, however. Unused items can be returned within 30 days for an exchange or refund. All original packaging and tags must be in place. Return shipping is not covered, however. Items returned past 30 days will be evaluated on a case by case basis. For faster exchange and refund, include a copy of the receipt or invoice, include a name and contact number, ensure that all items are unused and in the original packaging with all the tags attached, and indicate preference for refund or exchange. @ErnstMike Hi Mike! You'll just need to call the store you rented from directly to let them know you'd like to keep them longer.